What Does Calamari Taste Like? 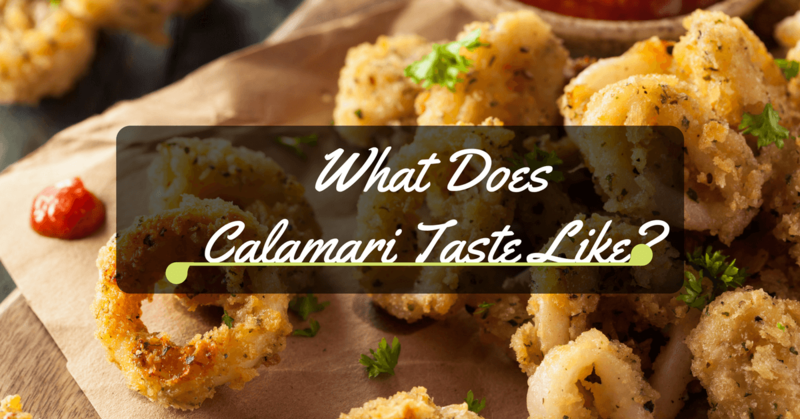 Learn & Savor The Best Taste Of Calamari! If you are one of those people who have never tried calamari before, let us find out together what it tastes like. This seafood is slightly related to the octopus and cuttlefish with ten tentacles just like an octopus. The tentacles are edible but the body is the one that provides meat that can be stuffed whole, sliced crosswise into perfect rings or cut into flat pieces. 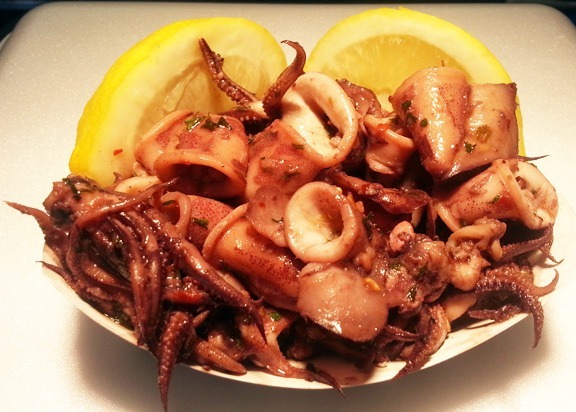 Depending on how it is prepared and the cooking time, calamari can be firm, rubbery or gummy. Any slight overcooking will turn this seafood into a chewier texture. The YouTube video below may also help you find out what calamari taste like. 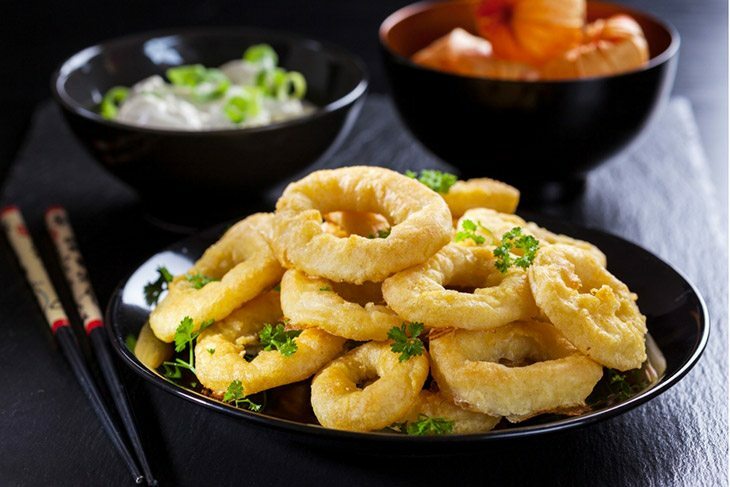 This said, you need to cut calamari into tiny rings or strips so that it is able to be cooked in the shortest time possible. You can opt to fry the strips and rings or bake them. 1. Pat the squid pieces dry with a pape﻿﻿﻿r towel. 2. Heat extra-virgin olive oil in a large frying pan over high heat until smoking. 3. 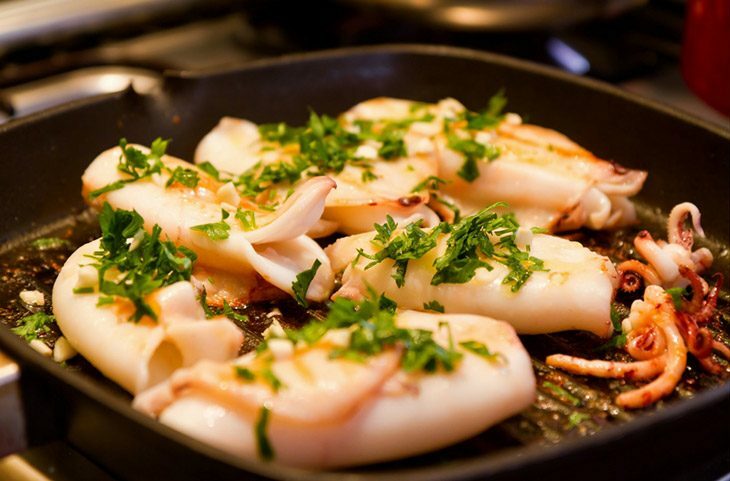 Carefully add the squid pieces in a single layer, and then add 2 tablespoons unsalted butter, 2 teaspoons garlic and 1 tablespoon coarsely chopped parsley leaves. 4. Season with 1 tablespoon salt and freshly ground black pepper. 5. Cook the combination for about 1 to 2 minutes, tossing frequently, until squid rings turn opaque. Season it with addition pepper and salt. 1. Heat a deep frying pan up to 350 degree Fahrenheit. You can also use a deep fryer﻿ instead. 2. Cut the fresh calamari into 1/4 inch strips and pat the pieces dry using paper towels. 3. Add 1⁄2 cup whole milk to a different bowl and dip calamari strips in the milk. 4. Dip the strips in the mixture that you set aside. Make sure that a thin layer of flour and crumb mixture coats the strip. 5. Flash fry coated strips in the frying pan for about 15 seconds. 6. In a frying pan, heat the vegetable oil to medium heat. Add 2 minced garlic cloves, and 1 tablespoon red hot pepper flakes sauce and stir well. 7. Cover with a lid to prevent oil from splashing. Sauté flash fry coated strips for 45 to 60 minutes or until nicely light brown. 8. Serve calamari with your favorite dip. If you have any other way to help people know the taste of this delicacy, feel free to share with us. If you have any question, feel free to ask in the comments section below. ​What Does Sushi Taste Like? What You Should Know!